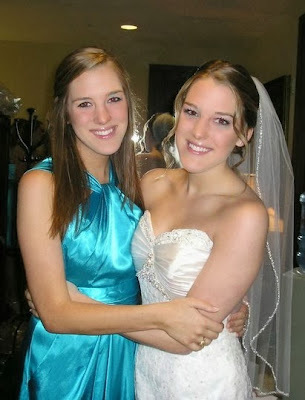 If you have been reading this blog long, you know that I have a twin. If you know me personally, you know that my twin and I are inseparable. We talk on the phone 3-4 times a day, which we didn't realize wasn't normal until our husbands kindly pointed it out. They try to understand our relationship as best they can, but they'll never truly get it. Nobody will. She is the only person in the world who has truly been through everything with me. From wombies to roomies to maids of honor, we have been through it all together. I could write a novel and still not explain our relationship to the rest of the world, but I can answer some of the lingering questions most people have when they find out we are twins. If you pinch me, will she feel it? I started with the dumbest question, but it's one of the most popular. No I can't feel it when you pinch her. But you'll feel it when I pinch you for pinching her. Side note: twins stick up for one another. This got us in trouble in elementary school. Can you tell me what she's thinking? This one isn't a resounding no like the first question. Can I read her mind? No, but can I tell you what she is thinking sometimes? Yes. We have the same life experiences, the same favorite movies, and the same inside jokes. If you say something to us, it will likely trigger the same thoughts. When someone asks us a question, we may respond at the same time with the same words. Do you have your own language? Obviously not now, but my parents say we used to talk gibberish to each other as babies and we really seemed to understand each other. Are your other sisters twins? We have two other sisters, so that is what brings on this question. The answer is no. Do you know what the chances of that would be? Since identical twins are about 1 in 285, the chances of having them twice in a row aren't high, to say the least. Fun fact: all four of us look so similarly that we could be quadruplets. No, we just have the same face. Yes we're twins! How do we tell you apart? This is an honest question, but it's one twins really hate being asked. We are different people and if you take the time to get to know us, you will be able to tell the difference easily. Our husbands have never not been able to tell us apart...except for when Parker came home from his bachelor party, but we will save that story for another day. If I tell you something, will you not tell your twin? (rolls eyes) We think it's so funny when friends make unflattering comments about the other one. It isn't something that happens all the time or anything, but we will always tell the other one. Always. We respect the wishes of our parents and husbands if they ask us to keep something to ourselves, but if others ask just so they can gossip about the other one, forget about it. From the outside looking in, you can't understand it. From the inside looking out, you can't explain it. I can't put into words what it is like to be a twin. I can tell you it is one of the greatest blessings of my life. I can tell you that having a built in best friend to go through life with is the gift that keeps on giving. I can tell you that it took me twice as long to write this post as it should have because I took a break to Facetime with her. I can tell you that she means everything to me. She's my person. So great! I love reading what twins say! I never got the question of can you tell what she is thinking question. I would get don't you guys have telepathy or esp something like that. Ha. Loved your last answer too so sweet! I imagine it would be pretty annoying to get the same questions all the time! 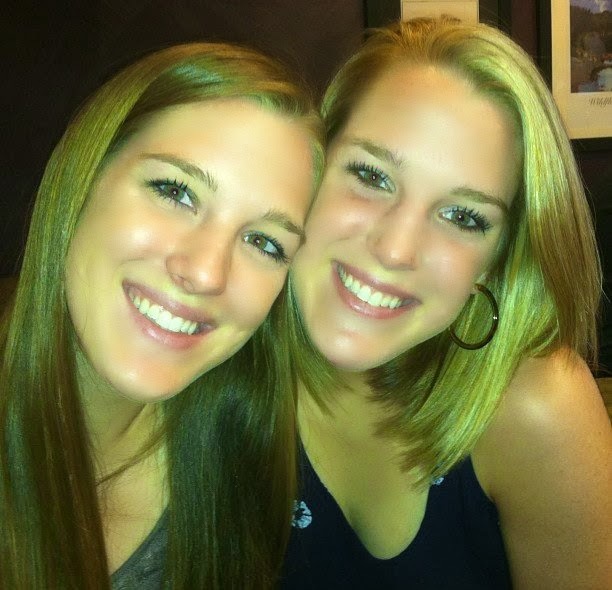 My older sister and I used to look identical, and people always asked if we were twins...sigh...nope! SO CUTE! I've always wanted a twin. BRING ON THE PARKER BACHELOR PARTY STORY! Y'all are both beautiful. 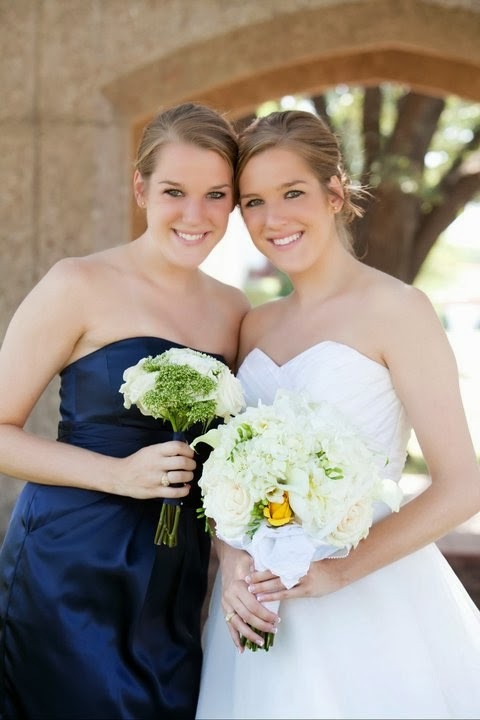 I could never imagine what it would be like to have a sister, let alone a twin. It must be wonderful to have a person so close to you. I love this post! :) I definitely understand what you mean... My sisters and I share a bond that we just can't explain. I should write one about being a triplet. uh - maybe it's because i'm a new reader but I had no idea you were a twin! Love the new URL! Also I keep forgetting your are a twin! It caught me off guard this morning I thought my blog lovin app was glitching!! Hehe! You two are so beautiful how is it possible?! Btw I had twin bestfriends growing up they use to always try and trick me to make me think one was the other - they were extremely identical but I could always tell them apart. I guess after being around them you just figured it out. I would have been an awful twin definitely would have been a trickster! This is awesome. I've always wanted to have a twin. Fun fact - I have two sisters who are adopted and are not biologically related to one another. They're five months apart but phsychologically they have become twins. They have a few sets of twin friends and all those twin parents tell my mom that the way my sisters interact with one another is exactly like twins - not like non-biologically related, different aged sisters. So cool! I love this post! What is her name? My sister and I are constantly connected even though we don't live in the same state. She's 3 years younger! So true, I've always found once I get to know twins they become 2 people I used to have a hard time telling apart now being 2 totally different people that I can spot the differences a mile away. I actually used to know a family that had 2 sets of twins in them. And the younger set looked like a mini version of the older set. I love it! I know the bond with my sister so I can only imagine the bond you have with yours. Aww.. this is so sweet! My Mom's a twin, but not identical (it's quite obvious) and still people couldn't remember which twin went with which name when they were growing up. AND, I've been friends with a pair of identical twins for the past ten years, one of them got married on saturday, and since they're both very handsome identical young men in matching suits (since one was the best man), the guy who didn't get married was getting congratulated all day long....he even got congratulated by the bride's father! I thought it was hilarious. I love this! It's sweet how close your sister and you are. I knew you had a twin, but I never realized how much the two of you looked alike. How great to have a built-in best friend from the time you were born! This was really fun to read! I have friends that are identical twins and to me they are incredibly easy to tell apart because they have such different personalities! I am definitely curious about the bachelor story with Parker!! I really enjoyed reading the questions and answers. I have an identical (mirror) twin, we are in our 30's and have lived half way across the country from each other for years but still remain very close. We still get asked all of the time if we are twins, most annoying question "are y'all boy twins? bet nobody has asked you that before." You would be surprised. =) Seems to me that y'all are identical, it's a special bond that twins have and always an instant connection when you meet other twins. Thanks for sharing such a lovely post, y'all are beautiful.